Freedom. Freedom to explore. Freedom to express one’s self. Freedom to communicate your conscience. 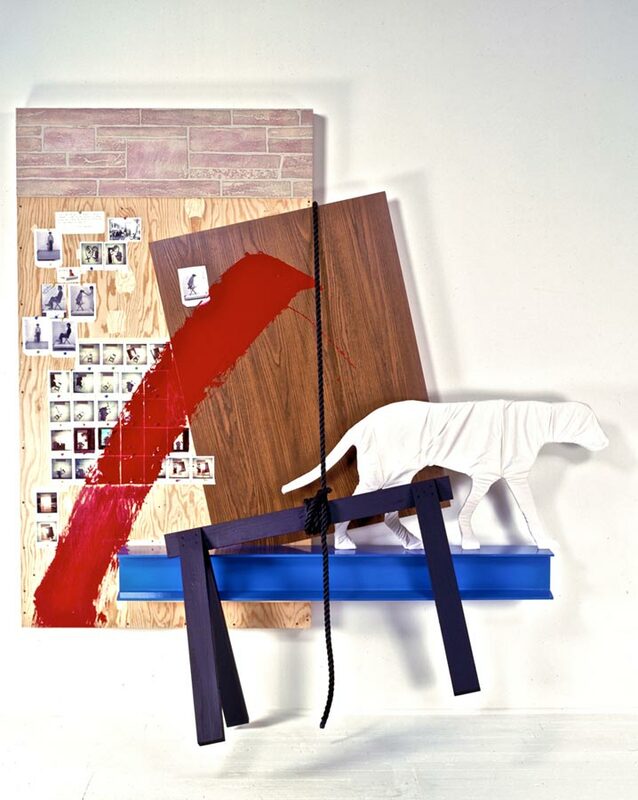 Artist Robert Strini has been answering the call for over 40 years. “The biggest key in my life was when my father said to me, ‘I don’t care what you do or how much money you make, as long as you love what you do,'” says the son of a country Italian butcher who loved his trade. Strini’s father also took his young son to lectures on the power of positive thinking. His mother was a generous-hearted, hands-on homemaker. 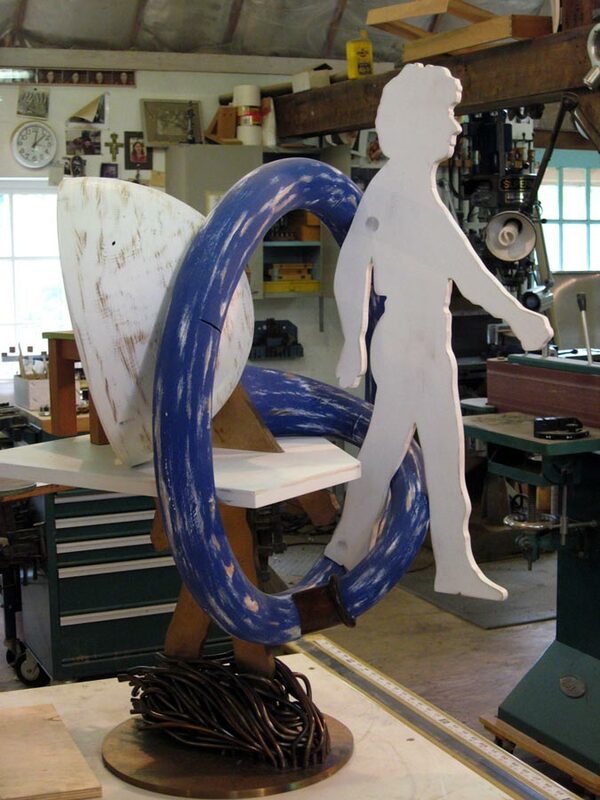 Strini, now a Scottsville, Virginia resident for 25 years, loved the “no rules” aspect of art as well as the chance to explore his passions in his own aesthetic language. He became “addicted to clay” at San Jose City College. He later received an MFA in art at the University of California at Berkeley. 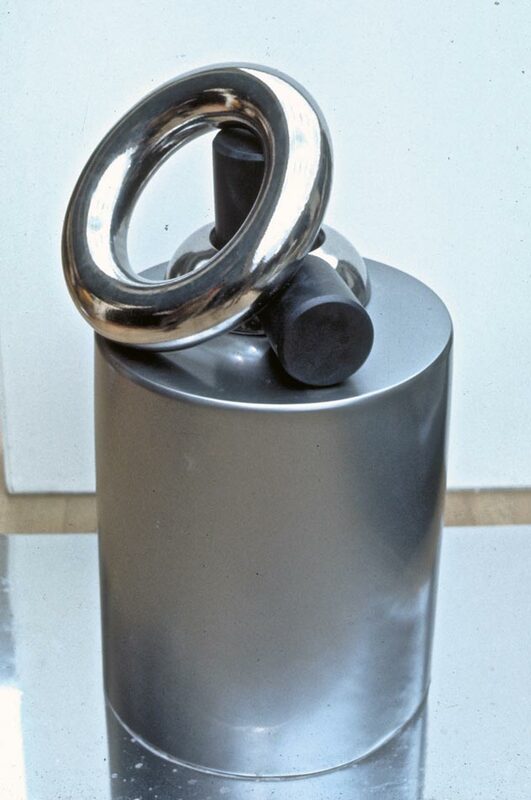 His inventive ceramics portfolio won Strini the Rome Prize Fellowship in Sculpture in 1971. The prestigious prize afforded him two years of freedom to experiment further with new ideas and forms. 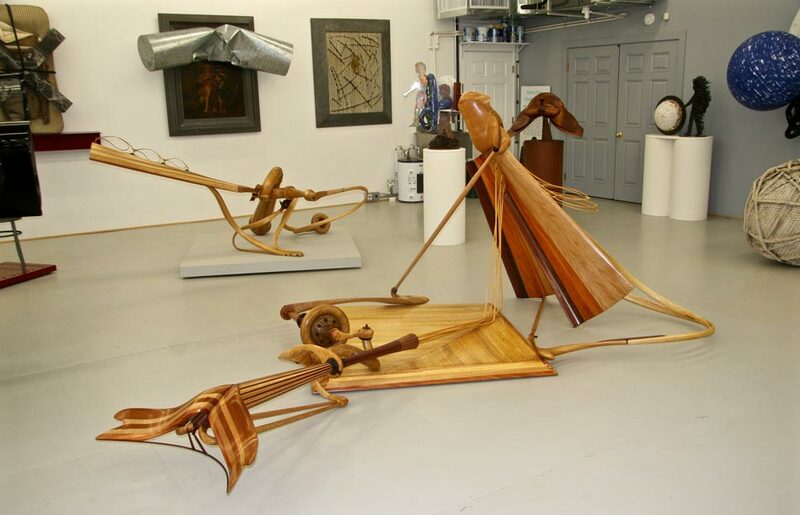 He started to work seriously in wood, producing both abstract and representational pieces. Bikes and musical instruments particularly intrigued him. 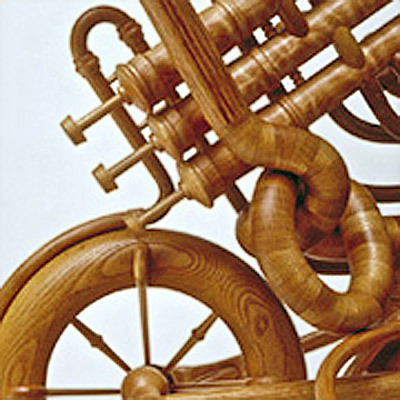 As original and elegant were his wood pieces, Strini eventually felt something was missing. “The early wood pieces were becoming beautiful but were kind of empty for me. I was leading to a point where I wanted to tell some kind of story other than I can make this out of wood. “So the natural transition was to go from the craft to the more artistic expression. Craft is when material overpowers the idea and art is when the idea overpowers the material. 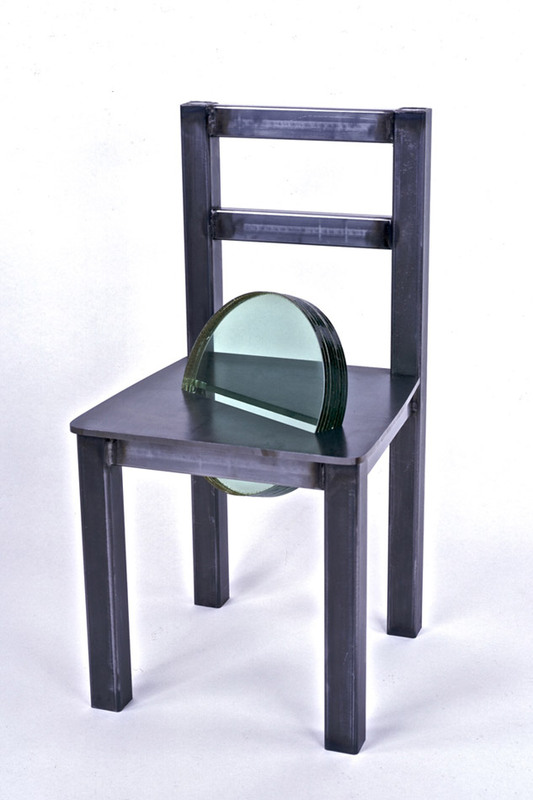 Glass chair questions the idea of opposites. “Everything in that chair is opposite—from cold to hot to hard to soft; from clear to opaque. The glass pierces that chair and makes it impossible to sit down on,“ says Strini. 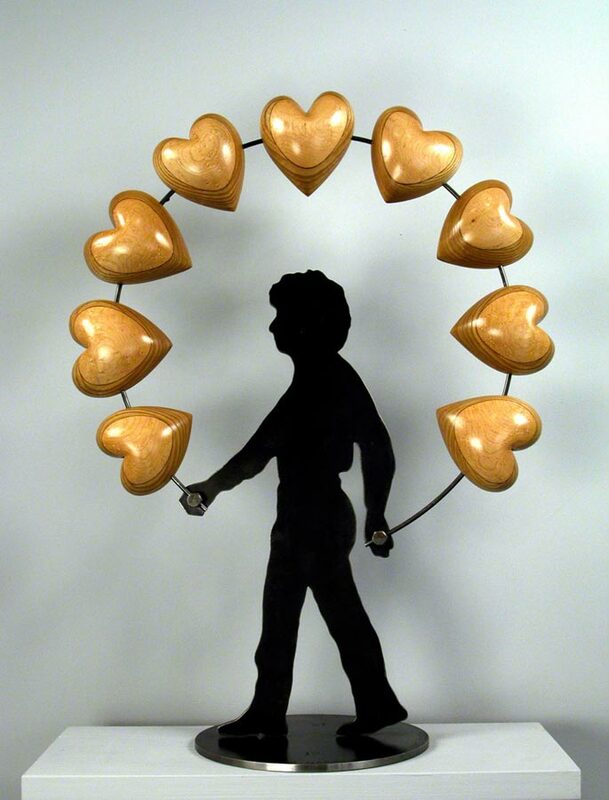 And Strini kept exploring new stories and mediums; many featured the human heart. 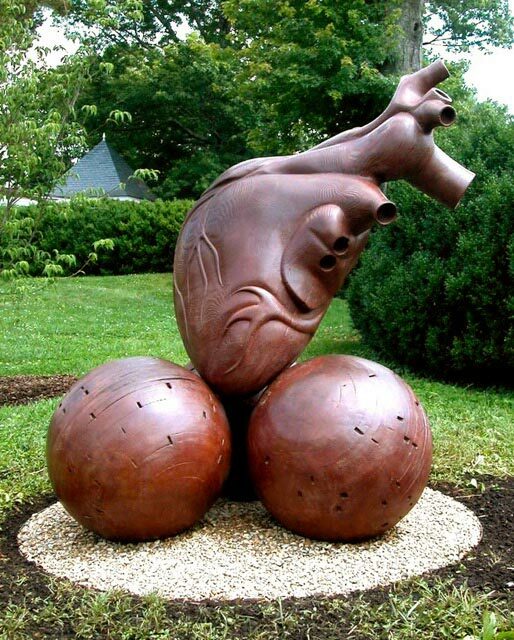 “I have a heart issue so I embraced the heart during this creative process. I made my first heart in wood and then covered it in bronze. 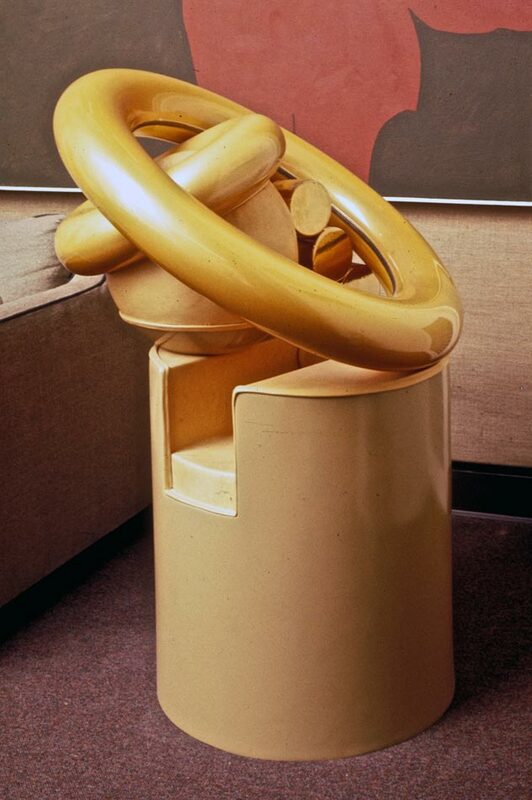 From 2002 to 2008, I made many pieces in bronze. The nice thing about bronze, it’s permanent. 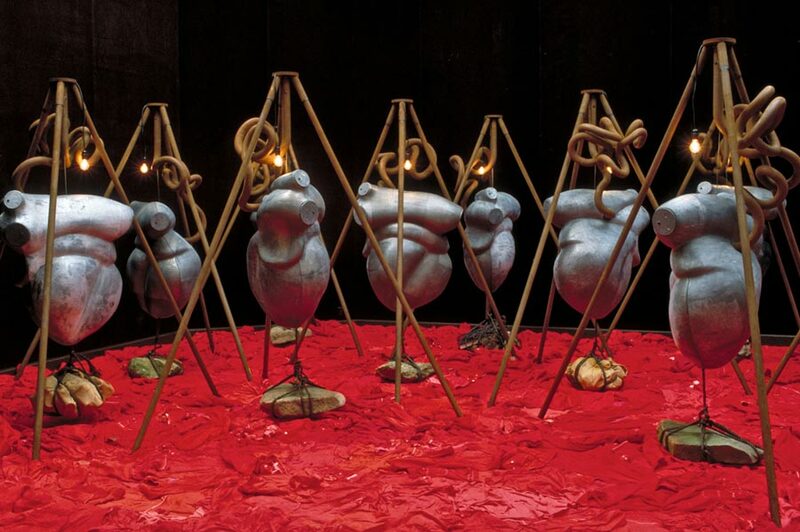 Genocide, a 1998 installation for the University of Virginia, portrayed the human heart at its most vulnerable. A darkened room was covered with children’s clothing dyed red. Six speakers broadcast peoples’ stories of how genocide changed their lives. “It was a painful piece to do,” Strini admits. “One woman talked about being raped 600 times. A little boy talked about losing his hair. There were sounds of my heart beating mixed with Mozart’s Requiem. Strini saved the newspaper and recently created Reliquary, a 2.5” lead crucifix housing the historic paper cushioned with raw cotton. 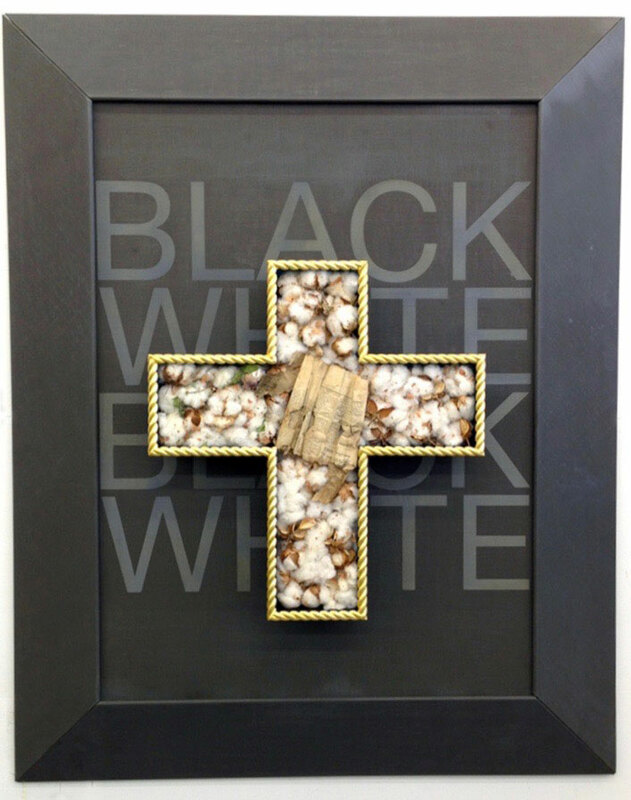 The cross is framed in a gold rope wooden frame. Strini, a teacher for many years at the Corcoran School of Art in Washington, D.C., looks to the future, feeling all the more concerned and grateful for the freedom to express it. Strini laughs. “Look at the White House now. They’ve drained the swamp and put billionaires in there. It’s perfect for ‘a ship of fools’ piece. In July, three of Strini’s wood pieces, Goolagong among them, will be shown in New York at the Mathew Marks Gallery in Chelsea. 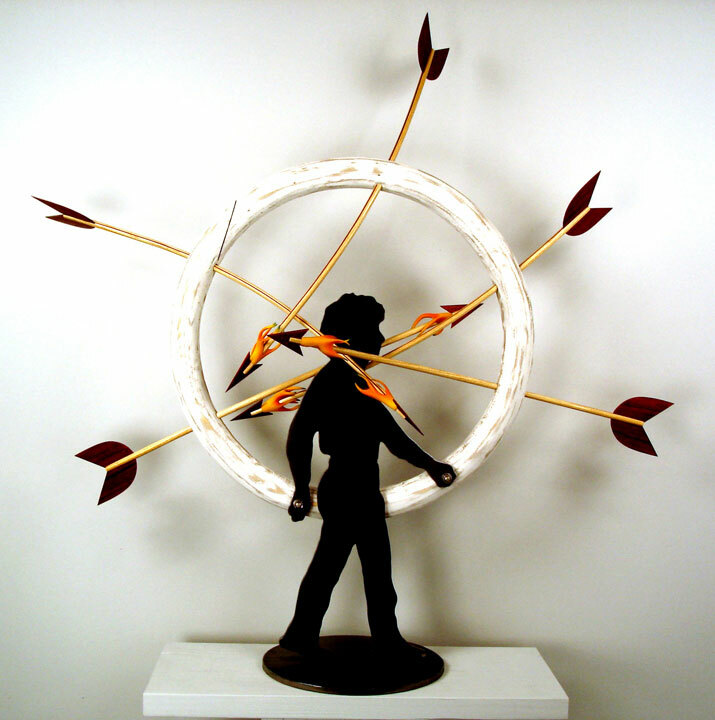 Goolagong, wood, 15′ x 4′ x 5′, 1980. 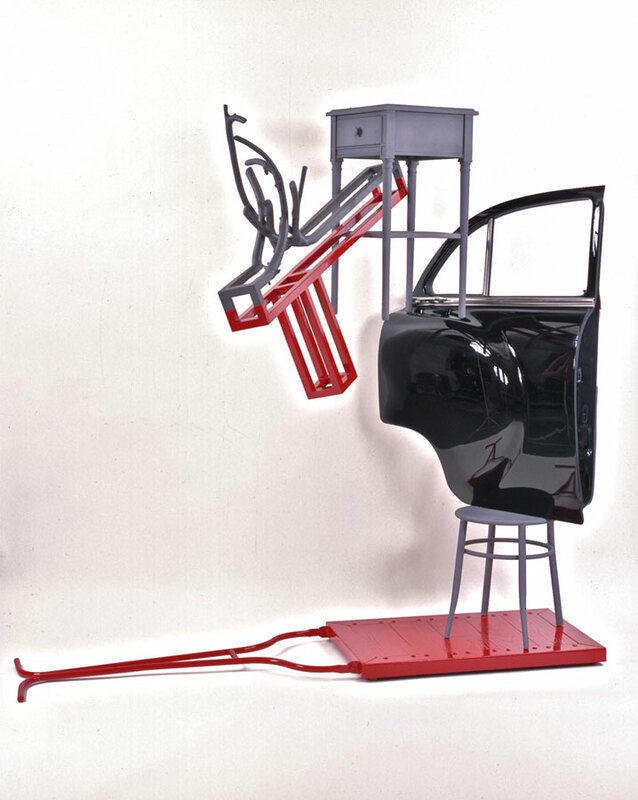 Strini’s work is exhibited across the U.S. and is represented in collections including the Smithsonian American Art Museum, Washington, DC; the Oakland Museum of Art, CA; the Tacoma Museum of Art, WA; and the University of Virginia Art Museum, Charlottesville, VA. Visit robertstrini.com to see more of Strini’s work.